In 1962, Canadian-born architect Pierre Lafond founded the first post-prohibition commercial winery in Santa Barbara County. Two years later, he established a winery on Anacapa Street, just two blocks from the Pacific Ocean. 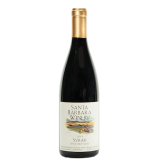 The 70 acres of estate vineyards are planted along the banks of the lower Santa Ynez River, a cool microclimate near the Pacific Ocean. 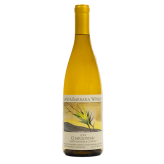 Santa Barbara Winery has become a successful, award-winning, high-profile winery.